Why don’t you make electric toothbrushes? As you may have noticed, RADIUS does not make electric toothbrushes. It’s manual all the way for us. The reason for this is that in 2006, Cochrane Collaborative, the world’s leading dental research body, found that a manual toothbrush was not only a much cheaper option but was also better for your teeth. In fact, only one electric toothbrush was found to be better than a manual (and by only 7%). So when you see an electric toothbrush on display in your dentist’s office, odds are you’re seeing the work of a great salesman, not science. Do I have to let my TOUR Travel Toothbrush dry before closing it? You can, but you don't have to. There are two small drain holes directly behind the RADIUS logo on the handle that allow any water collected on the inside to drain out. We designed the TOUR this way so you don't have to keep your toothbrush open in order for it to dry. If you do want to let it dry before closing it, you can leave it open with the RADIUS logo on the handle flat against the sink or counter. It's your choice. You do you. Easy peasy. Hold your toothbrush with the brush head facing you. If the head angles toward your left hand, it's a leftie. If it angles towards your right, it's a rightie. Our toothbrush handles are recyclable unlike other brands. Most other brands of toothbrushes are over moulded which means they use more than 1 type of plastic and cannot be recycled. For example, a typical Oral B handle uses rubber (TPE) and Polypropylene. Our handles are only one type of plastic or they are reusable. Do the Original & SCUBA both have soft bristles? You bet. All of our bristles are soft with the exception of our Medium Replacement Heads. 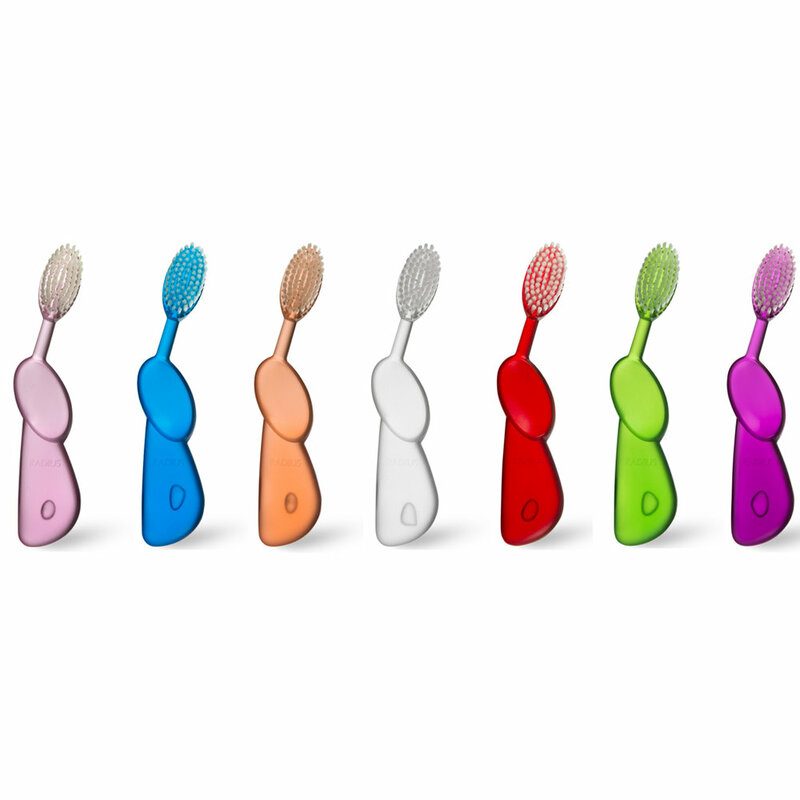 The bristles on the Original and SCUBA are exactly the same but because the SCUBA has a flexible neck the bristles might feel softer since you are exerting less pressure while you brush. Absolutely. It's soft, yet effective. Our SuperSoft bristles are meant to gently clean your teeth and the tapered bristles help get between your teeth and along your gum-line.